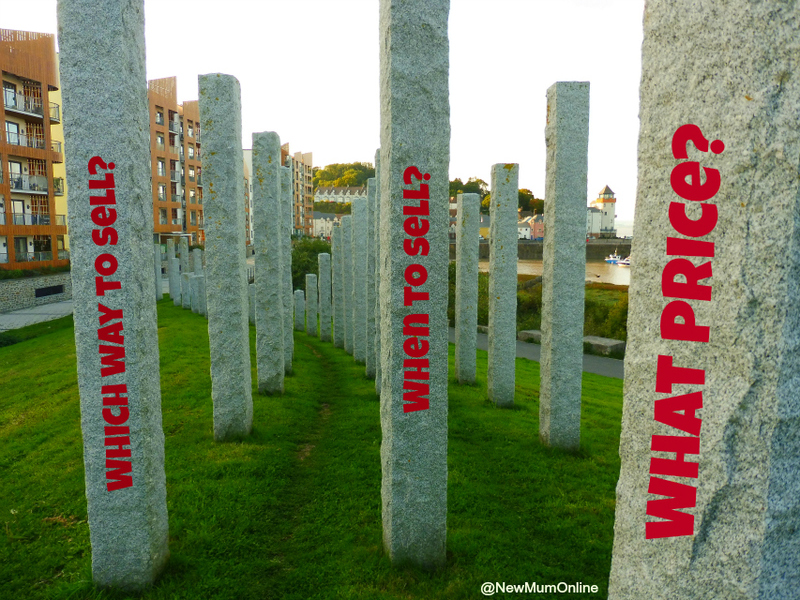 New Mum Online: When Is The Right Time To Sell My Home? Selling your home has never been easier especially when you consider all the different ways you can go about selling your home. From the traditional estate agent to online agents such as Jet Homes you are not short of many and varied ways to sell. But the big question that has come about in the last few years has been “when is the right time to sell?" What year will see the biggest rewards? With the deepest recession ever (commonly now referred to as the Great Rcession) after the 2008 market crash, and an economy that is just starting to pick up, many have also begun questioning when is the right time of year to place their house on the market. There are a few great tips which Jet Homes has provided to help you consider the most appropriate time to sell your home. If it’s all about selling your home fast then you need to think about how your house is valued, or the reasons as to why you need to move so quickly. If it’s for financial reasons you may want to consider renting your home rather than selling. However, if you are relocating for work reasons, can you afford to keep two houses? The big question has to be why you want to move in the first place. If you know the answer to this and you have set timescales, consult with estate agents and locals in the area on how quickly houses sell or do a quick search on the internet for recent house sales to get an understanding of the market you are currently selling in and what you think you could reasonably get for your property. Bank rates; what is the Bank Of England going to do with Interest rates moving forward and how will this affect your mortgage rates? Mortgage offers; shop around and see how the mortgage offers are reflecting the general state of the economy. Consumer Price Index; this will help you understand how we’re living and if we have inflation or deflation. Keeping an eye on the economy and using financial websites to read into the next 6 months can help you understand how the economy is actually working and what can be done to help make your mind up. If food has seasons, so does selling your house. Let us explain this a little better, dependent on the time of year your house is put up for sale it can have an effect on valuation and purchase periods. Sometimes the difference can be marginal but there are a few key seasons. Autumn is arguably the best time to sell as you can have mild ones, like this year, which means your home can look great on first impressions and there is just enough good daylight hours for people to view your home at different times. Summer is possibly the worst time. There are holidays to contend with and if a family is looking to move they would want to do it during the holiday season or certainly before the school term starts. Spring is an interesting time as you start to get more daylight and well kept gardens are keen to be shown off; it's generally what's thought to be the best time of year if you’re looking to sell at your highest price. Sometimes, depending on lead times, selling in Spring, requires getting prepared in the months beforehand. Winter closely follows summer in how hard it can be to sell. Between Christmas and New Year it can be difficult to get people visiting your home and you need to consider daytime visits to make the most out of your home. Selling your home can be stressful and sometimes, there is no definite answer as to the best time to sell your property. Consider things such as the impact it could have on your day to day life and circumstances, how you would need to organise new schools, doctors and social environments with a house move. Decluttering is an important thing to do prior to getting valuation surveys or viewings. Not only does it make your home a more attractive proposition, but it also means that packing and moving are a dream, being a lot less stressful. Packing your clutter due to time constraints only means you have to face it again at the other end. It's good to consider a new home a new start. Whatever the reasons, pick your timescales wisely and start getting organised. You never know, you could sell your house within an hour of it being on the market!